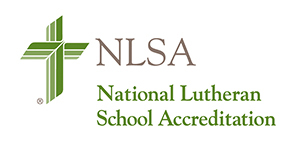 Trinity Christian School is accredited by the National Lutheran School Accreditation organization. This accreditation ensures that Trinity Christian School upholds thebest in education for our students. This accreditation is recognized regionally and nationally. Click here to read more about what accreditation means to you and your family.